As the hardreading staff has often noted, the local dailies have created One Town, Two Different Worlds more days than not. But . . . One Town, Two Different Thermometers? Not to get technical about it, but . . . Right – it’s not just the air temperature they differed on, it was the water temp too. 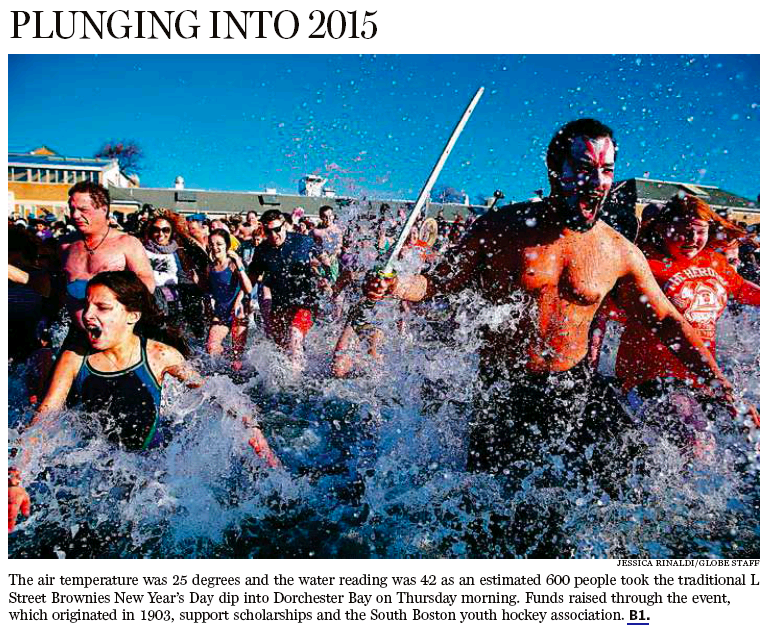 Hundreds of L Street Brownies braved the bitter cold to take the traditional Southie Polar Bear Plunge on New Year’s Day. 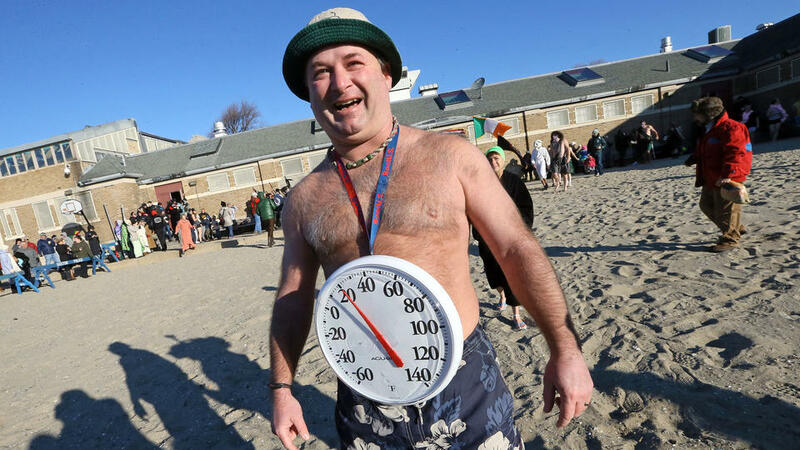 “It was warmer in the water because the air temp was down to the teens with the wind chill,” said Freddy Ahern, coordinator for the BCYF Curley Community Center. The water was a balmy 37 degrees. Happy New Year to all! Keep up the good work. This entry was posted on Friday, January 2nd, 2015 at 11:52 am and is filed under Uncategorized. You can follow any responses to this entry through the RSS 2.0 feed. You can leave a response, or trackback from your own site.